The Great Duomo Complex | Che Bellezza! 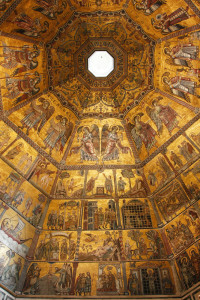 Would you like to discover all the wonderful tresures of Piazza del Duomo in Florence? This is the right tour for you! A unique cumulative ticket allows you to visit all the great monuments of the Duomo Complex, for centuries the heart of the religious and civic life of Florence. 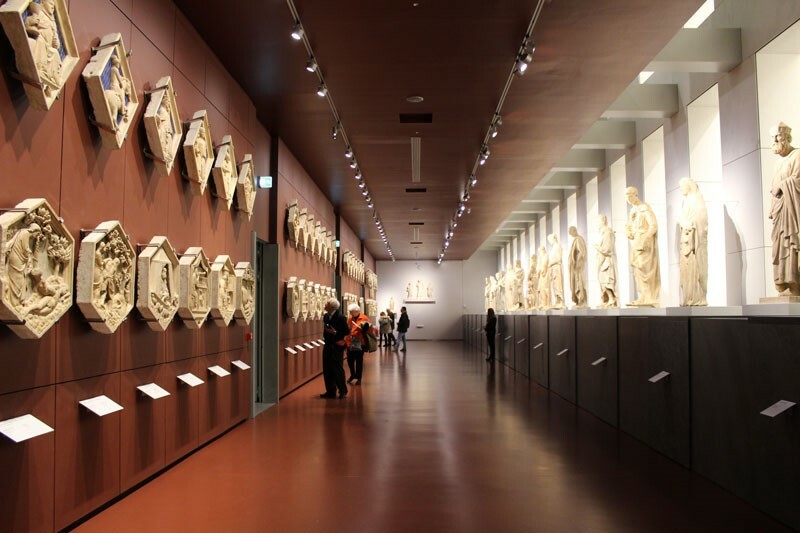 You will visit the new Opera del Duomo Museum, recently renovated and set up to house the great masterpieces that come from the monuments of the Duomo Complex, such as the Gate of Paradise by Ghiberti, Michelangelo’s Pietà, Mary Magdalene and the Choir by Donatello. 28 rooms spread over three floors, for an artistic journey discovering unique masterpieces! At the end of the visit, you will enjoy a magnificent view of the city and Brunelleschi’s Dome! 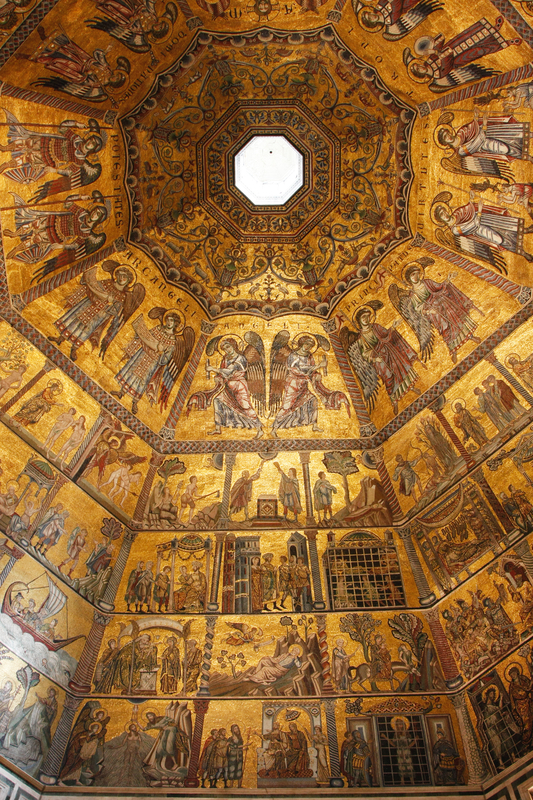 You will discover the wonderful ancient mosaics that decorate the interior of the Baptistery of St. John, a masterpiece of Florentine Romanesque that Dante Alighieri himself called “my beautiful Saint John” in a passage of the Divine Comedy. 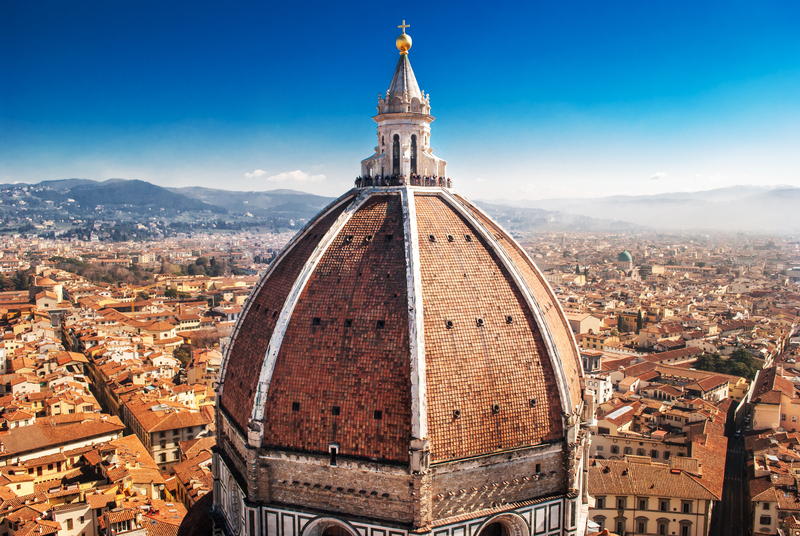 You will then enter inside the majestic Cathedral of Santa Maria del Fiore, the Duomo of Florence, to admire the austere and impressive interior architecture, the magnificent frescoes of the dome and the underground remains of the ancient Cathedral of Santa Reparata. But the surprises do not end here! 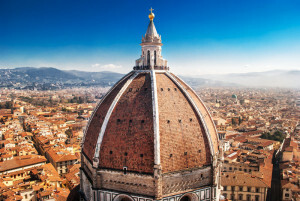 With the same ticket purchased for the monuments of the Complex, you can approach by yourself these fascinating enterprises: to go up to the top of the dome, Brunelleschi’s masterpiece and symbol of Florence, or to climb the imposing Giotto’s Bell Tower, another undisputed symbol of the city! From the top of these majestic monuments, you can enjoy one of the most beautiful panoramas over the city! Good climb… And good view! The cost doesn’t include the entrance tickets to the monuments of the Great Duomo Complex.